What’s indigo on the outside and white on the inside? A blueberry! Makes total sense — I know. Almost every day Jeremy and I have a green smoothie for breakfast, but the other day when I was rustling around in the fridge, I was coming up empty-handed. We were out of greens. The bananas were MIA too. There wasn’t much help from the freezer either. Start looking at what I do have in the kitchen. Kind of sounds like the secret to life – right? 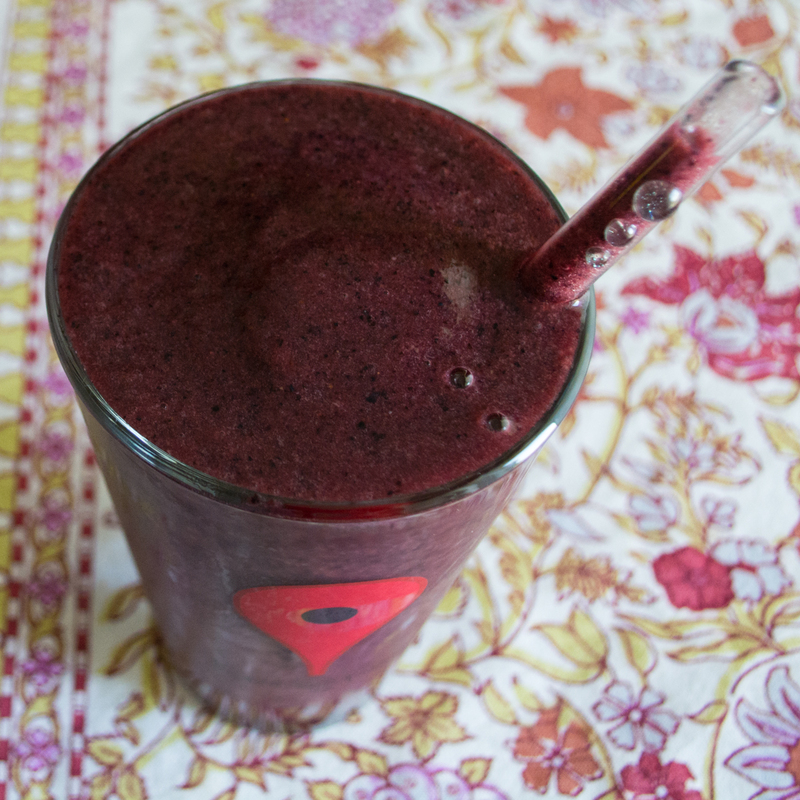 I found frozen blueberries, dates, minced ginger (ready to go – I might add), coconut yogurt that was months passed the expiration date but didn’t have mold, spices and orange juice. Sounds like I could make a smoothie after all and it was delicious. I included measurement for the orange juice in the recipe, but the water I’m leaving up to you. I usually try to keep liquids up to the level of fruit and veg in the WildSide container, but with frozen fruit it’s a good idea to add a little bit more. 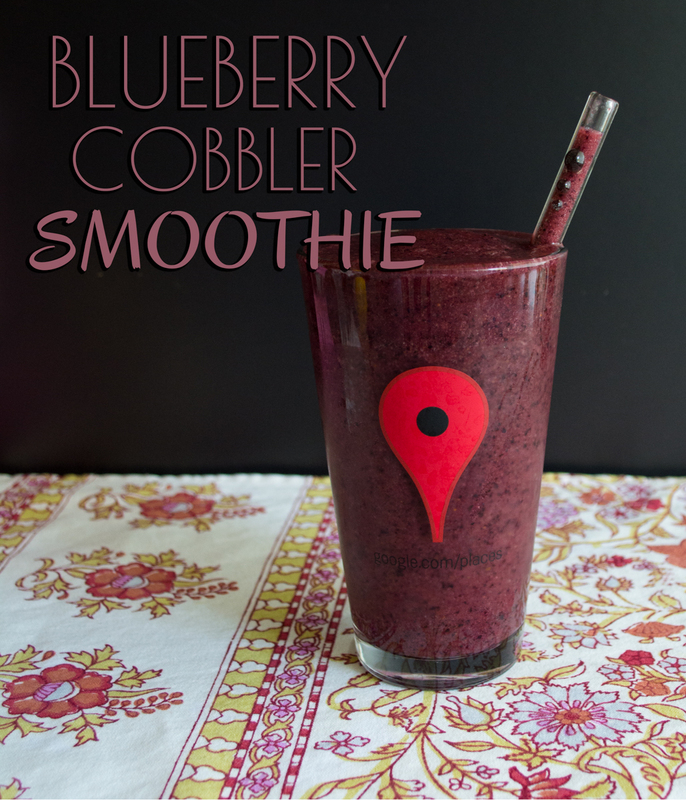 This smoothie is full of fiber but tastes like a blueberry cobbler hence the name. The ginger and spices add subtle flavor and a nutritional boost, but don’t overpower the magic. 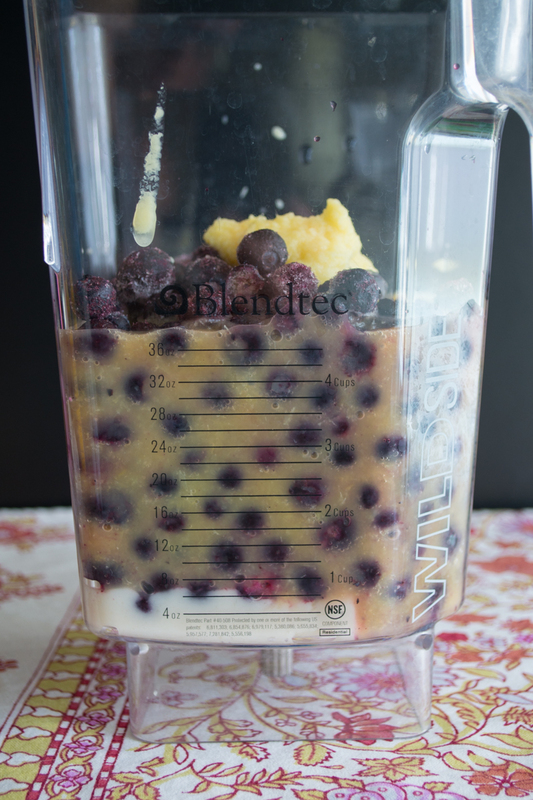 Add ingredients to blender and blend until smooth, adding water to your desired thickness. Enjoy!